Bro. Clarence Pelton has been an Elder for 42 years. He was ordained in 1974 at the 11th and Hydraulic location by minister at that time Kennard Smith. He has overseen many areas of the church during his tenure. He currently oversees the Greeters and Ushers, Health Department, Sunday 10:00 Nursery and Preschool Classes. He also teaches the Adult Bible Class and has counseled numerous married couples. Bro. 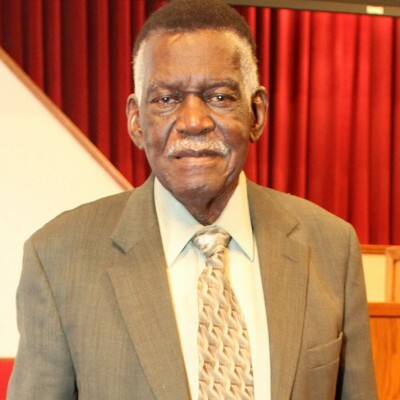 Pelton was responsible for establishing the Children’s Church Worship hour dating back to 1972, when at the time he was a Deacon and Education Director. Children’s church continues to thrive.